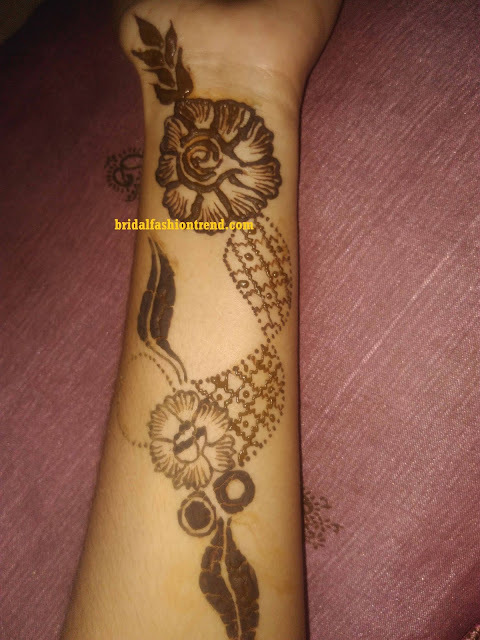 Step wise Mehndi Designs Latest or henna pattern on hand- done by me using with naturally henna cone. 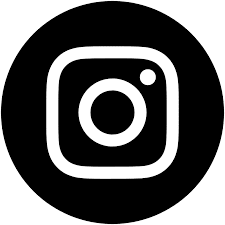 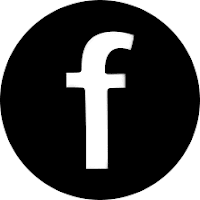 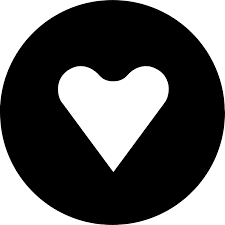 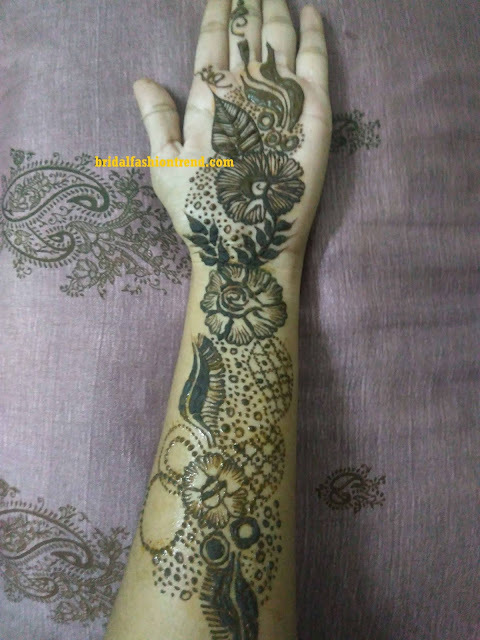 Henna Artist may done henna design on their hands anytime, because of their hobby & improve their work day by day to get new ideas about henna design. 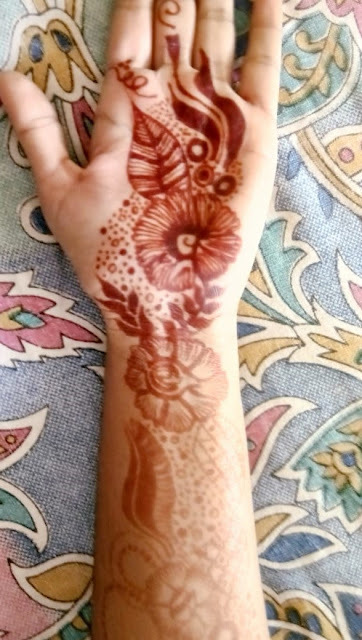 Here, I draw Simple Arabic Mehandi design in my hand. 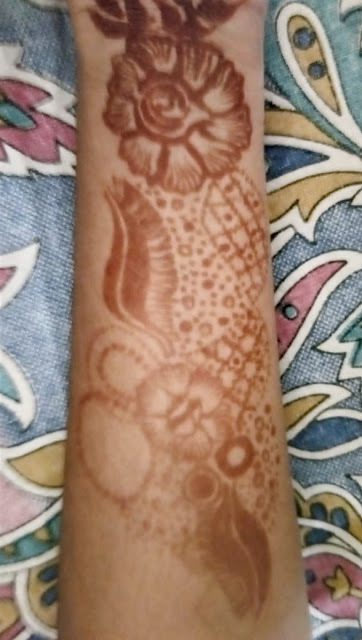 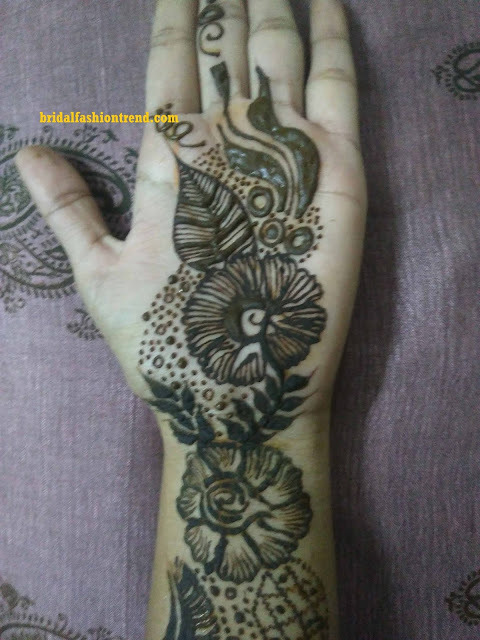 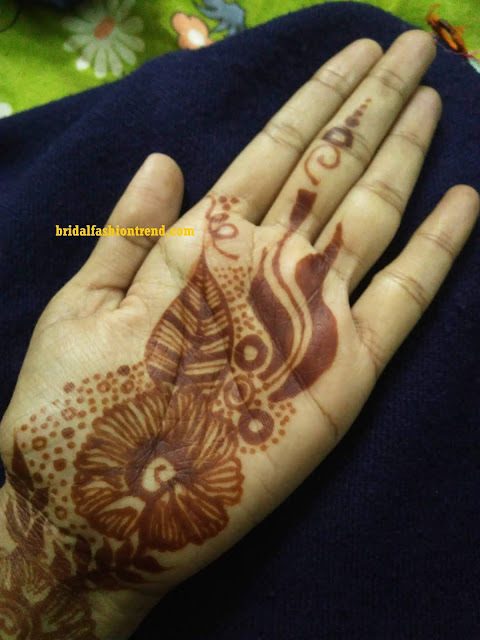 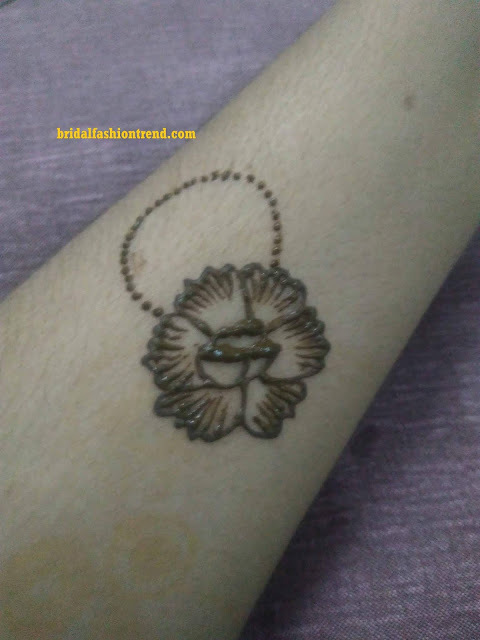 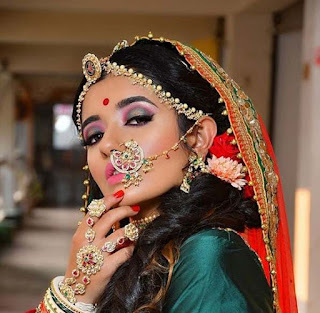 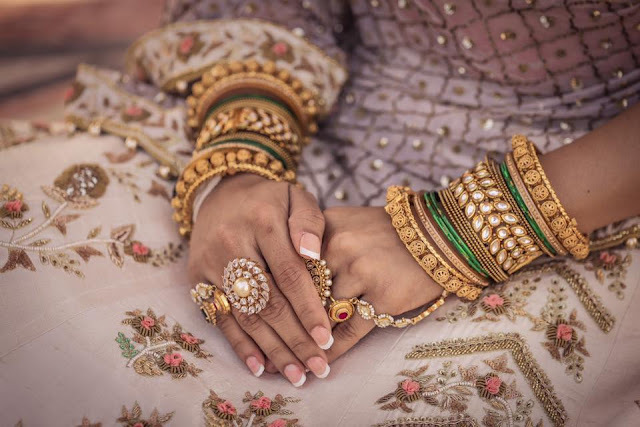 I have uploaded staring to ending photos, so that the girl who wants to learn Mehndi design, be easy to learn that start with Mehandi Design, after drawing the first step, and how to draw the second step. 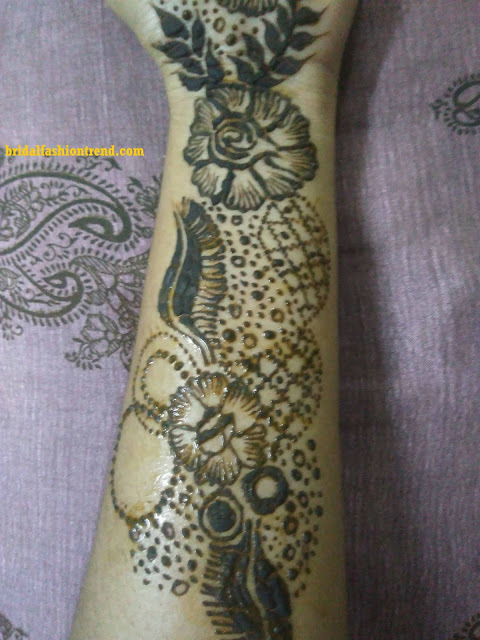 And in the last, that color of Mehandi's came in my hand, I also uploaded these photo.